No “boar”dom at the Wild Boar Festival in Suvereto! Desire to escape the ordinary?! 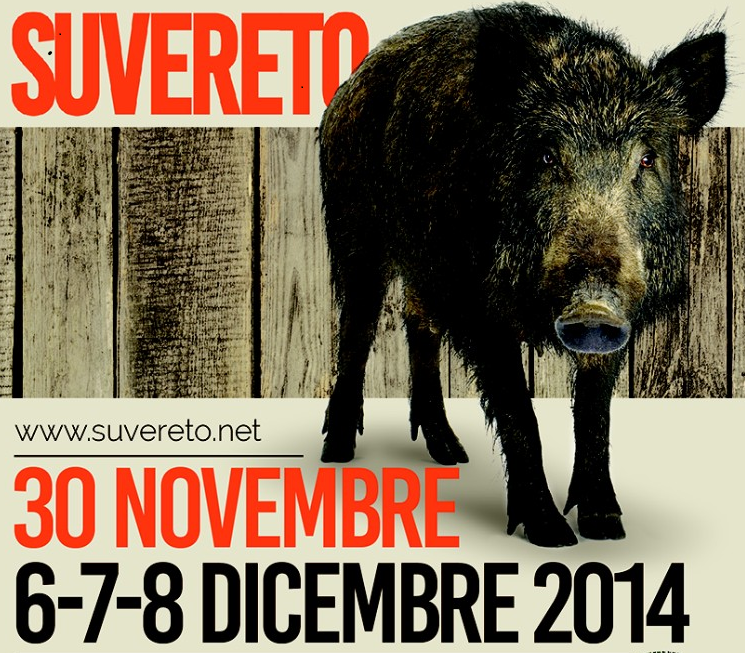 The place then for you this weekend (30/11/14) and the next (6-8/12/14) is at the ‘Wild Boar Festival’ (Sagra del Cinghiale di Suvereto) in Suvereto, Tuscany. At this time of year, the town pays homage to its medieval history (village dating back to 1000 AD) with the boar (in the form of its prized meat) occupying pride of place and its residents dressing up in medieval costume and taking to the streets. This year Suvereto is celebrating its 47th festival (celebrated since 1968) with a multitude of activities catering for all ages: music, art, food and wine, folklore, exhibitions, etc. Relish the gastronomic delights on offer with wild boar sausages, wild boar with olives, wild boar prosciutto and many other delicacies washed down with local extra virgin olive oils and DOC Suveretan wines. Enjoy the Tuscan talent with many recognised bands playing on the street corners and piazzas: Gli Ultrasoda, Fuochi di Paglia, Madaus, Acoustelek, Indygenie, Titos Blue Band, Soda Sisters, Francis Duende and many more… Experience the traditions of the past with historic re-enactments, medieval pageants, traditional archery contests and, in particular, on 8/12/14 at 15.45, there is the renowned historical procession and the commemoration of the concession of the Charter of Liberty (Charta Libertatis) to Suvereto in 1201 by the Aldobrandeschi family. This is a truly enjoyable festival.